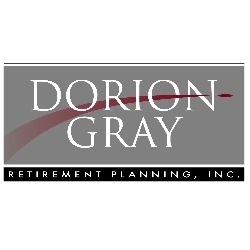 Dorion-Gray Capital Management® Weekly Commentary May 16, 2016 | Dorion-Gray Retirement Planning, Inc.
U.S. stocks fell Friday following the release of lackluster consumer quarterly reports from two large retail stores, which overshadowed previously optimistic sales data for April. As online sellers like Amazon.com continue to expand, brick and mortar retailors continue to struggle. Falling oil prices also contributed to the week’s decline. For the week, the Dow fell 1.04 percent to close at 17,535.32. The S&P lost 0.44 percent to finish at 2,046.61, and the NASDAQ dropped 0.39 percent to end the week at 4,717.68. Manufacturing in the United States represented 21 percent of the economy in 1980, falling to 12 percent today. Manufacturing jobs in the United States represented 18.6 million jobs as of Dec. 31, 1980, a total that has fallen 34 percent to 12.3 million jobs as of April 30, 2016 (source: Department of Labor, United Nations, BTN Research). Since finishing at a bear market low close on March 9, 2009 (i.e., approximately 86 months ago), the S&P 500 has gained 254 percent (total return). The stock index has gained just 1 percent (total return) in the past 12 months but has gained 15 percent (total return) over the past 24 months (source: BTN Research). The U.S. national debt is 105 percent of the size of the U.S. economy today. Our national debt was 54 percent of the size of the U.S. economy in 1960 (source: White House, BTN Research). All the recent market volatility seems to have had at least one positive side effect: Americans are saving more for retirement in traditional investment vessels. Fidelity Investments’ first-quarter analysis shows a record 13.6 percent of 401(k) participants raised their savings rate this year. The analysis looked at 13.9 million retirement accounts with assets of $1.2 trillion in employer savings plans. Many employees are electing to save in multiple ways, taking advantage of both 401(k) and IRA accounts. At Fidelity, the number of people with both an IRA and a 401(k) increased 7 percent from a year ago to almost 1.3 million individuals. The average combined contribution amount increased 3 percent, from $11,300 to $11,600. These additional savings amounts are paying off quicker than expected, too, thanks to matches and other additions. When employee contributions are combined with employer matching funds and profit sharing, the total amount has increased 12.7 percent – another first-quarter record and the highest percentage increase since 2008. One negative finding from the first-quarter analysis was a drop in the average 401(k) account balance. Year over year, the average balance lost 5 percent from $91,800 to $87,300. Average IRA balances fell from $94,100 to $89,300. However, Fidelity also reported opening 400,000 new 401(k) accounts, most with a low or zero starting balance, which could contribute to a decline in the overall average balance. On the other hand, long-term investors – employees who have been in their 401(k) for at least 10 consecutive years – saw increases in their account balances. Those account holders saw an average balance rise of 2 percent year over year to $240,700. As Americans transition to a “save more, spend less” mentality, leveraging employer savings options becomes more essential than ever. We can help you or a family member build a full retirement plan that takes into consideration your employer-based accounts as well as other sources, and we’ll be here when you retire to help handle the rollover of your plan account. Call us today to review or create a plan for yourself or a family member.